The U.S. Labor Department has reported that job openings in October reached the highest level since March 2008, equating to an overall increase of 1 percent to 3.93 million. The number of workers quitting their jobs also rose by 2.5 percent to 2.39 million; the highest number since October 2008. 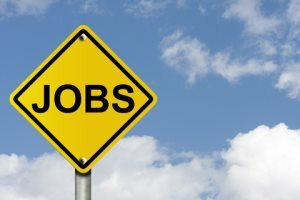 More job openings and workers quitting both signal an improving job market as it indicates more people are finding jobs and are more confident that they can find one. On the other hand, total hiring fell 2.6 percent to 4.5 million after September’s five-year high. But overall hiring has still risen 5.2 percent over the year. Layoffs, too, dipped by 16 percent to 1.47 million, reaching their lowest level since 2001. Hiring, however, needs to step up more quickly in order to reduce the current unemployment rate of 7 percent. The number of job openings is thought to be consistent with a healthy job market. Even as competition is easing in the job market, it is still considered competitive with 2.9 unemployed people, on average, for each available job in October. This is substantially lower than the 7-to-1 ratio measured at the end of the recession in July 2009. The typical ratio in a healthy economy is 2-to-1. Employers added an additional 203,000 jobs in November as the unemployment rate dipped to a five-year low. Job gains have averaged approximately 200,000 per month over the past four months. These are net payroll gains that account for the number of people hired compared to those who were laid off, quit, or retired.